Arjuna said: O descendant of Vrishni, by what is one impelled to sinful acts, even unwillingly, as if engaged by force? A living entity, as part and parcel of the Supreme, is originally spiritual, pure, and free from all material contaminations. Therefore, by nature he is not subject to the sins of the material world. But when he is in contact with the material nature, he acts in many sinful ways without hesitation, and sometimes even against his will. As such, Arjuna’s question to Krishna is very sanguine, as to the perverted nature of the living entities. Although the living entity sometimes does not want to act in sin, he is still forced to act. Sinful actions are not, however, impelled by the Supersoul within, but are due to another cause, as the Lord explains in the next verse. Referring to verse 34 about raga and dvesa, in this verse Arjuna asks about the attachment to the objects of the senses such as enjoyment with others’ wives even though it is forbidden by scripture. Though without desire to engage in sin because of knowledge of the rules and prohibitions of the scriptures (anicchan), by what influence (kena prayuktah) does one engage in the act as if by force. This means that the desire for the object strongly arises under the influence of the object’s stimuli. 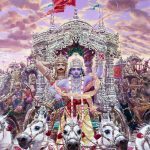 3.36 Arjuna said — Impelled by what does a man practising Jnana Yoga commit sin in the form of experiencing the objects of the senses, as if constrained by force, even against his own will not to experience the objects of the senses. 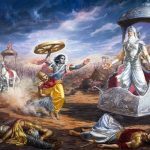 By stating anotherâ€™s duty is fraught with danger Lord Krishna was indicating that fear of hellish births wa the fear in question. 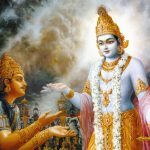 Arjuna understood this; but now he is enquiring if there is another reason sins are committed. It is known that sins lead one to hell and no fear is greater then the fear of going to hellish regions; so what is it that compels beings to commit sins even against their better judgement as though driven by force. 3.36 Atha, now then; varsneya, O scion of the Vrsni dynasty; being prayuktah, impelled; kena, by what acting as the cause; as a servant is by a king, does ayam, this; purusah, man; carati, commit; papam, sin, a sinful act; api, even; anicchan, against his wish, though not himself willing; niyojitah, being constrained; balat, by force; iva, as it were-as if by a king, which illustration has already been given? The Lord (Bhaga-van) said: ‘You hear about that enemy, the source of all evil, of which you ask-.’ ‘Bhaga is said to consist of all kinds of majesty, virtue, fame, beauty, detachment as well as Liberation [Liberation stands for its cause, Illumination. ], (V.P.6.5.74). That Vasudeva, in whom reside for ever, unimpeded and in their fullness, the six qualities of majesty etc. 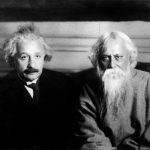 and who has the knowledge of such subjects as creation etc., is called Bhaga-van. ‘He is spoken of as Bhaga-van who is aware of creation and dissolution, gain and loss, [Gain and loss stand for future prosperity and adversity.] ignorance and Illumination of all beings’ (ibid. 78). arjunaḥ uvāca — Arjuna said; atha — then; kena — by what; prayuktaḥ — impelled; ayam — one; pāpam — sins; carati — does; pūruṣaḥ — a man; anicchan — without desiring; api — although; vārṣṇeya — O descendant of Vṛṣṇi; balāt — by force; iva — as if; niyojitaḥ — engaged. This verse says each one of us regardless how spiritual we are do err. Err is human. The word sin for many means something evil, and in that mindset so many of us feel guilty. It becomes an intellectual excercise in not doing any bad stuffs. Soon we somehow or other go off the groove as the desire is so powerful and captivating that grips our daily life. 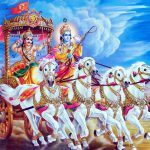 Arjuna like most of us struggles in staying away from the desire and asks Krishna the reason behind this. Whether willingly or not willingly we make mistakes. Sin is like not hitting the bulls eye every time.